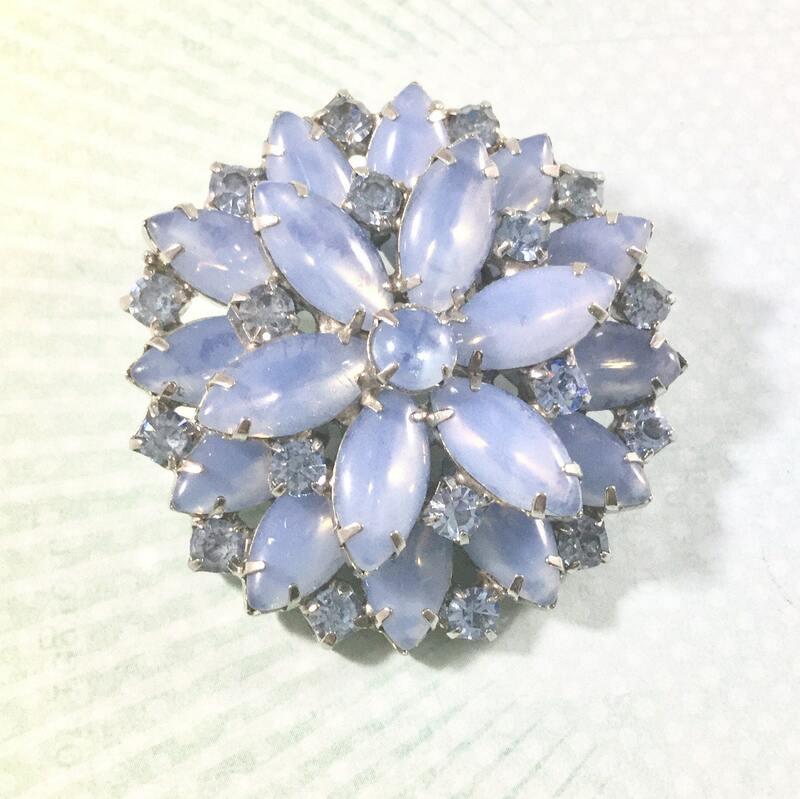 This is a wonderful vintage silvertone layered blue opalescent flower brooch. 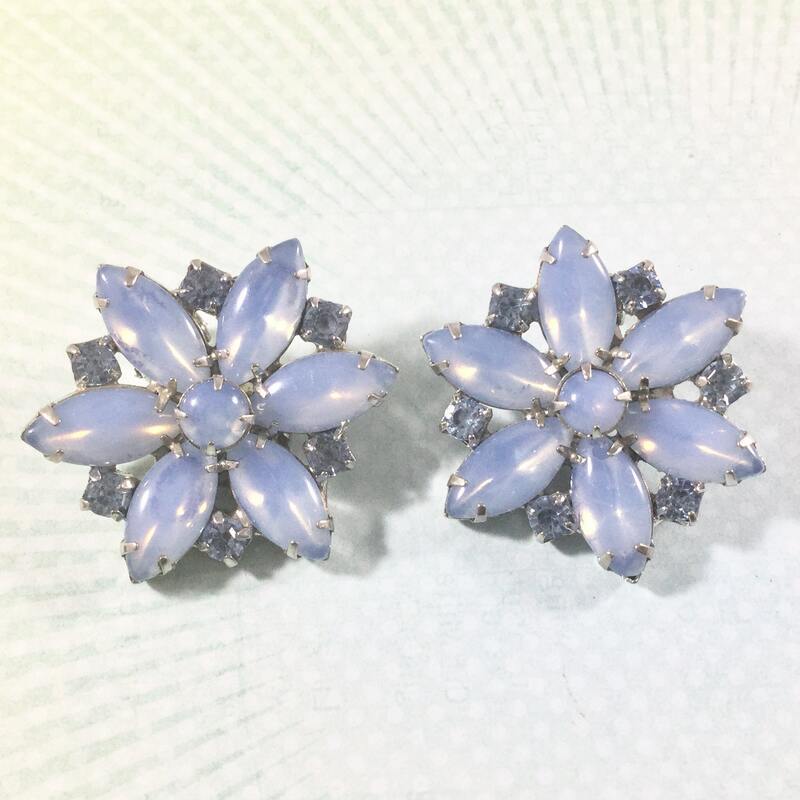 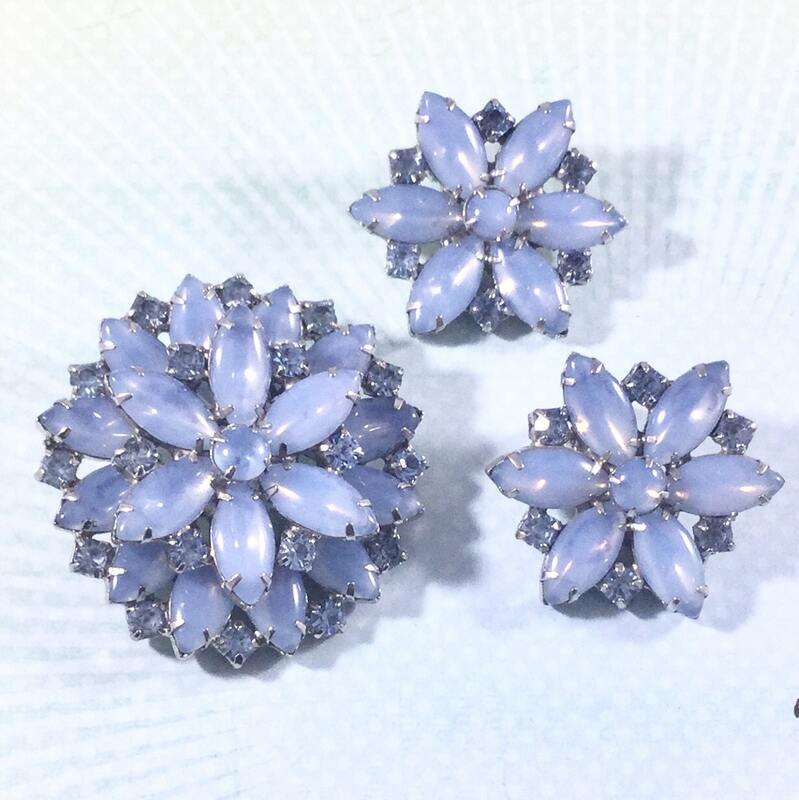 The blue opalescent navette rhinestones make up two layers of petals. 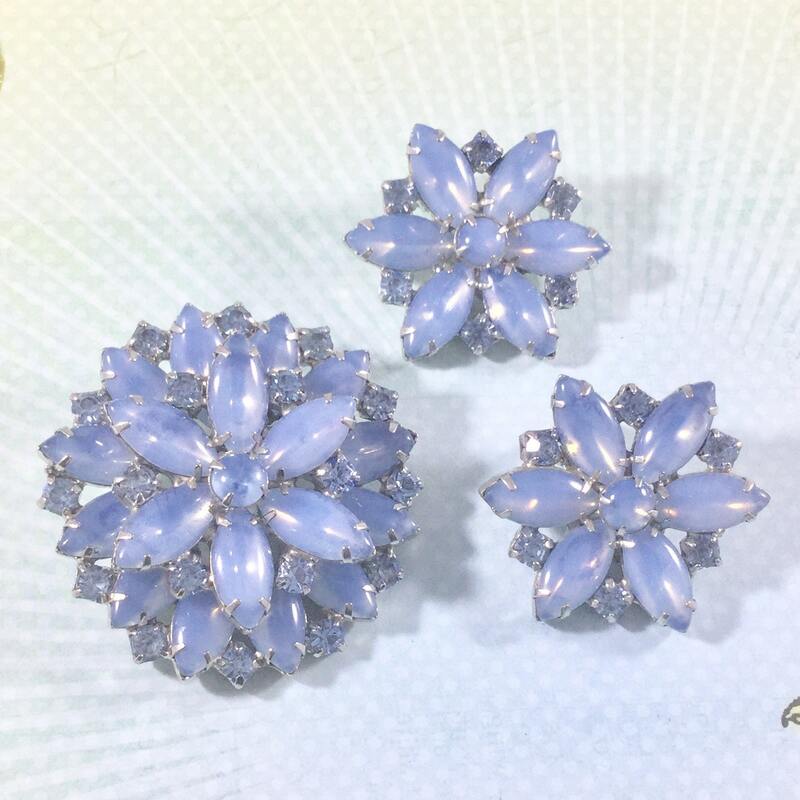 Between each navette is a light blue round Rhinestone. 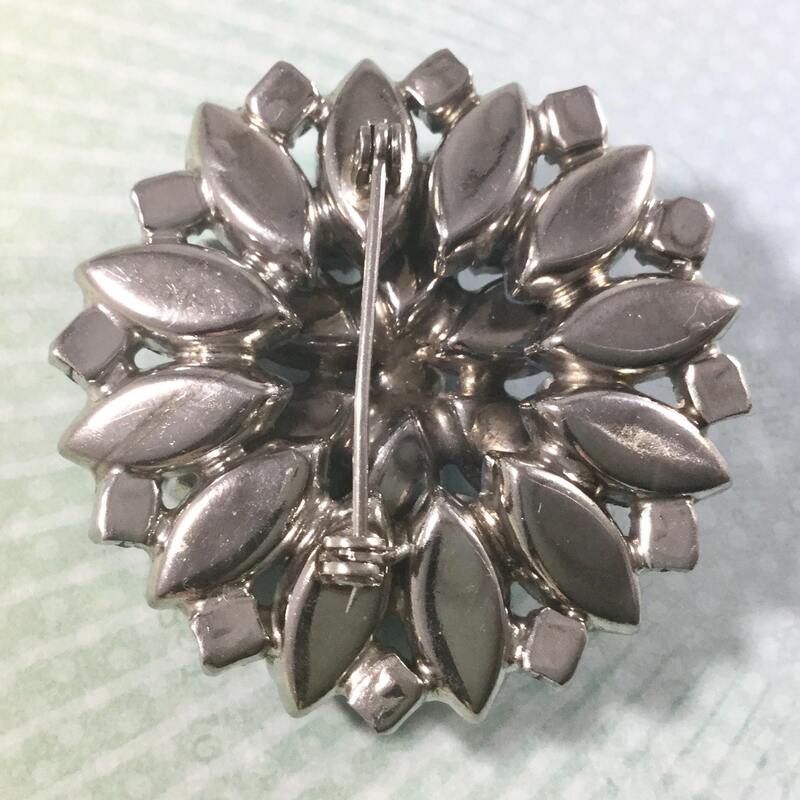 All rhinestones are prong set and look original to the brooch. 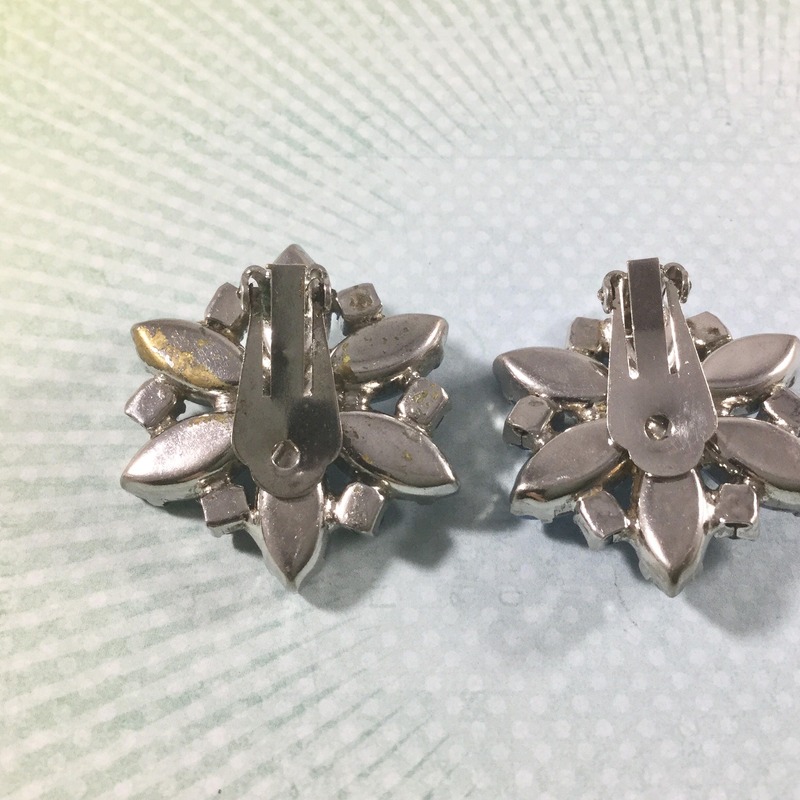 The earrings match the brooch and are one smaller flower. 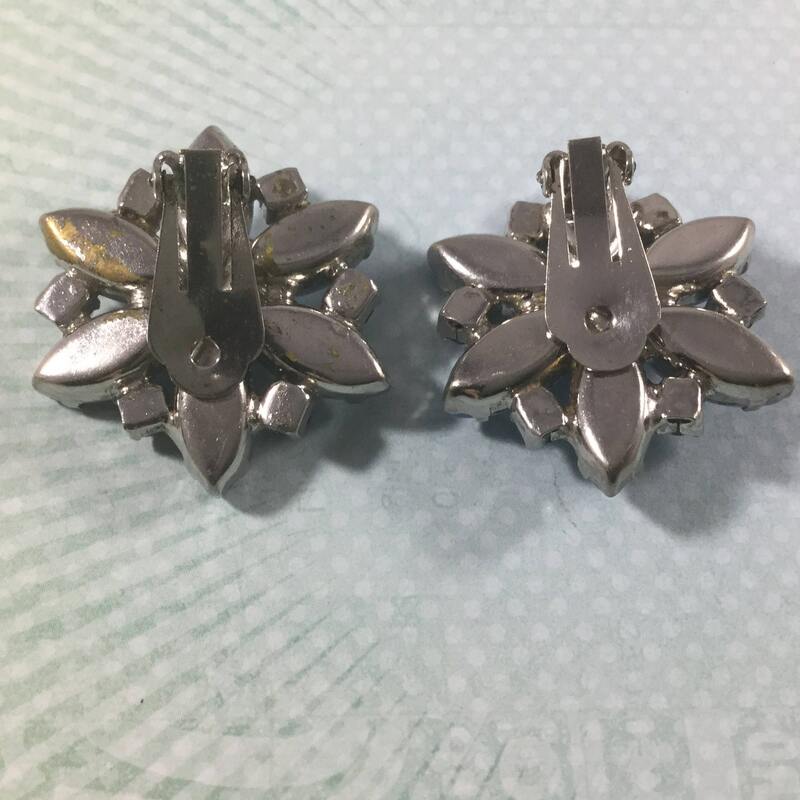 The brooch is in excellent condition and the clip earrings are tight and have some wear to the back. 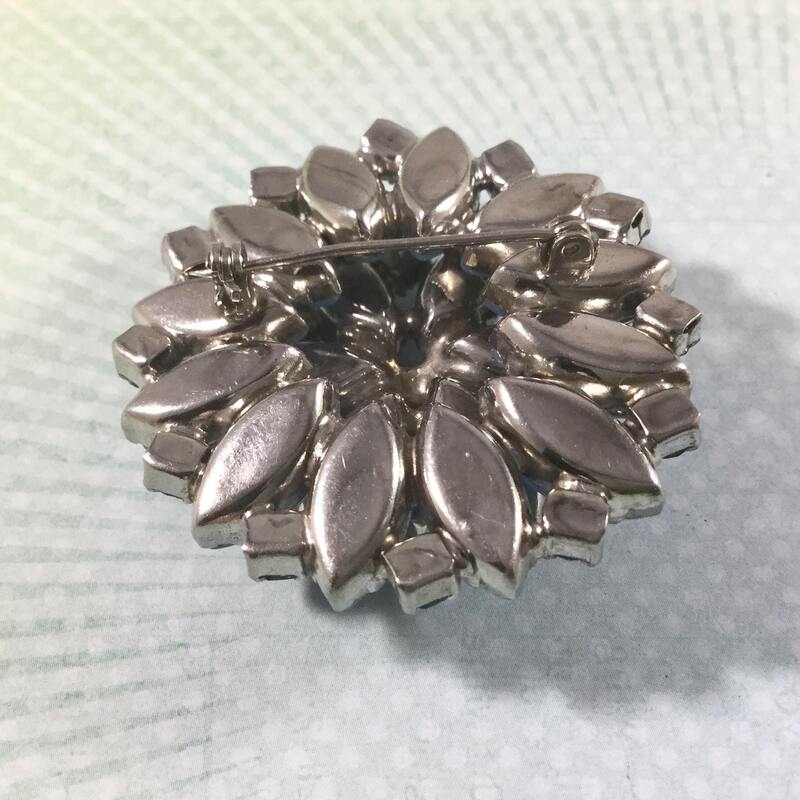 The brooch measures 1 3/4" in diameter and the pinback is straight and works smoothly and securely. 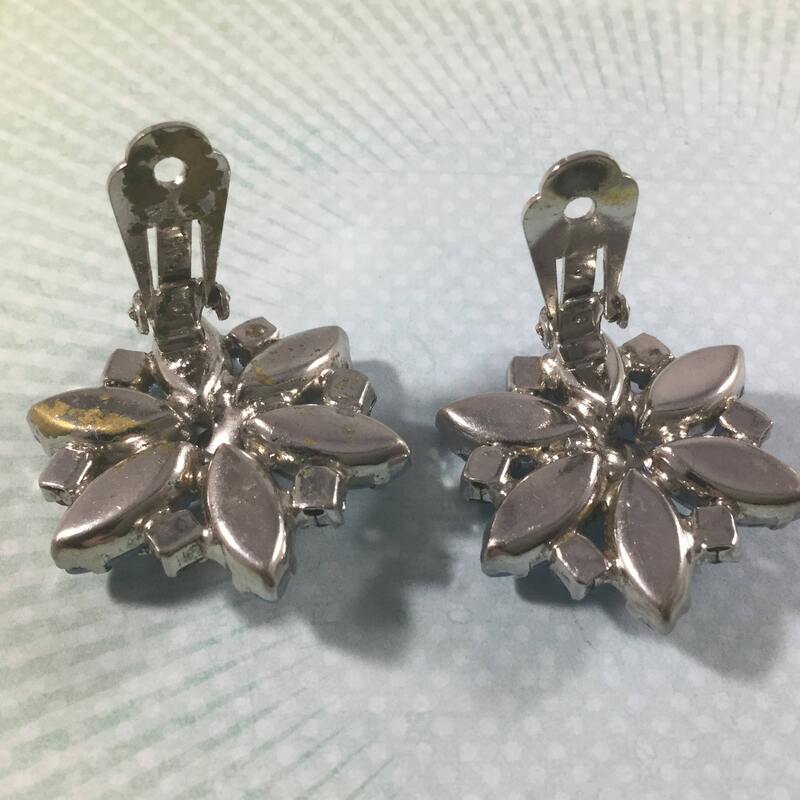 The earrings measure 1 1/4" in diameter. 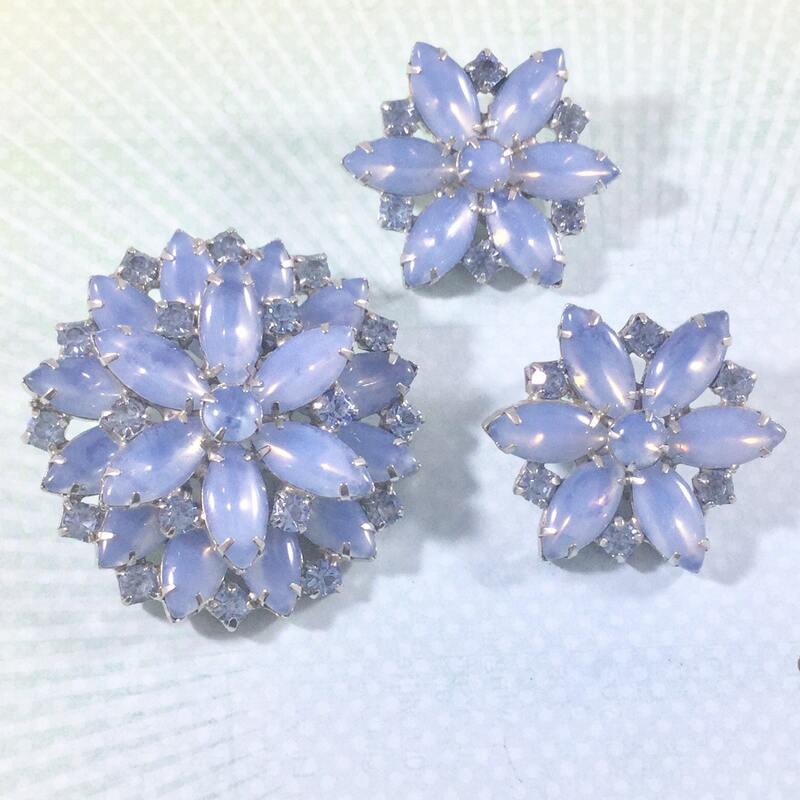 This is a great set for someone looking for an opalescent blue flower....a gift to yourself?